ABT a newer Audi model admitted for treatment, which the three letters housed category between SUVs. 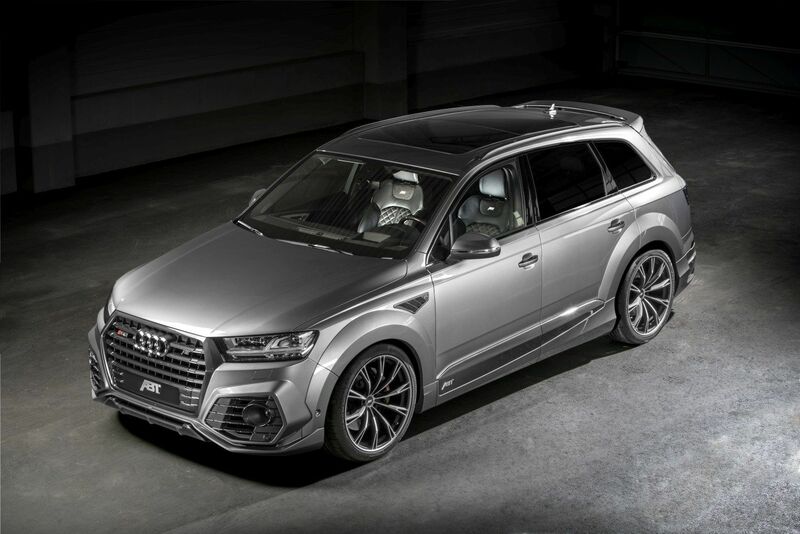 The ABT SQ7 received optimized ABT POWER control unit and this increases factory peak performance from 435 hp (320 kW) of the Audi SQ7 into a true powerhouse. In addition to the extra 85 hp (62 kW) A further 85 hp (62 kW) and 70 Nm additional torque will be given free from the 4.0 TDI. The ABT Level Control ensures that the enormous power of now 520 hp and the mighty 970 Nm can be easily controlled even during cornering. The control unit allows the driver to lower their SQ7 with air suspension by up to 20 mm compared to the standard dynamic setting at the press of a button, should they ever get tired of looking out over the other drivers on the road. The advantages of the ABT Sound Control can also be enjoyed by people in the surroundings of the SQ7, at least when the driver presses a button to activate the sporty sound. The tailpipe trims made of a material combination of stainless steel and carbon are a high quality addition to the rear view. To ensure that the increased power of the ABT SQ7 is also represented visually, we do offer a range of visual accessories. The wide design aero package includes a front skirt, fender extensions, rear skirt add-ons, rear wing, fender inserts and door strip attachments for a masculine look to match the power. The car show how powerful and adds the ABT carbon exterior package was completed with a front skirt add-on, door strip attachments and a front grille frame made of carbon. The carbon tailpipe trims and wheels to match the body styling are also available from ABT Sportsline. 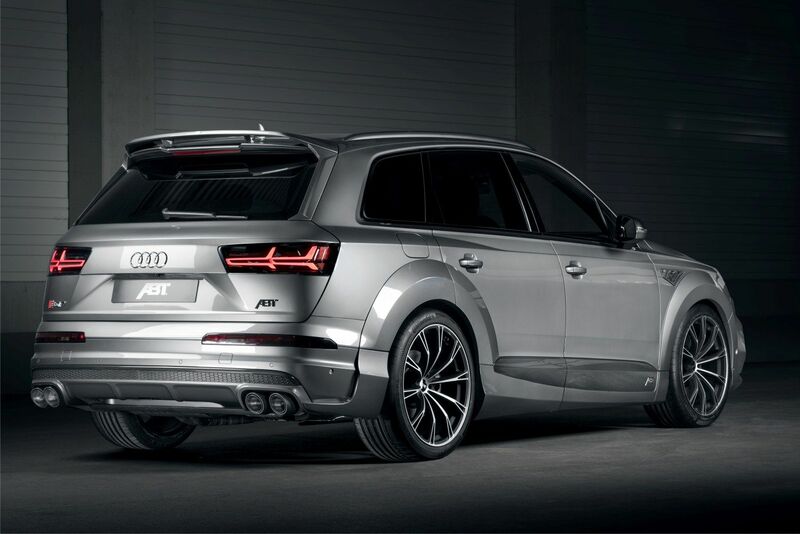 The 22 inch ABT Sport GR in “matte black” are fitting additions to the ABT SQ7. The tuning range continues inside the car: The interior of the SQ7 can be upgraded with individual accessories such as integrated entrance lighting, trunk and floor mats as well as with complete packages. The ABT Individual leather interior creates an elegant atmosphere thanks to high quality materials including contrasting seams and the ABT logo. The second package, the ABT Individual carbon interior, brings even more racing feeling into the cockpit.